Illinois' Chatrice White (32) tries to edge past her opponent during the game versus Northwestern at the State Farm Center on Thursday, January 22, 2015. Practice makes perfect. At least that’s the hope for the Illinois women’s basketball team. As Illinois (11-11, 2-8 Big Ten) is trying to break out of a seven-game skid, head coach Matt Bollant wants his team to take advantage of good practices to gain some momentum heading into Thursday night’s bout with Minnesota (17-5, 6-4). Bollant said he expects a week full of positive practices to give the Illini confidence when the Golden Gophers come to town. Despite losing three of its last four games, Minnesota received votes in the most recent AP poll and nationally, it ranks 10th and 11th in rebounds and blocks, respectively. Those numbers are due largely to the play of 6-foot-5 Swedish center Amanda Zahui, who recently earned co-Big Ten Player of the Week honors after putting up 29 points, 28 rebounds and 16 blocks in two games. She is ninth in the nation in rebounds per game (11.6) and 19th nationally in field goal percentage (.557). Freshman center Chatrice White will have her hands full with Zahui, but sophomore forward Jacqui Grant thinks White is up for the challenge. Minnesota lost its leading scorer and preseason National Player of the Year candidate, Rachel Banham, for the season to a torn ACL. The Gophers have remained afloat in the Big Ten due to a more balanced attack led by Zahui and her frontcourt-mate, Shae Kelley, who averages close to 16 points and nine rebounds per game. While Zahui was Bollant’s main focus, he also spoke on the depth Minnesota plays with in the absence of Banham. After having four different players commit at least three fouls in their loss to Wisconsin, the Illini focused on playing defense with more discipline in practice. White fouled out in just 21 minutes at Wisconsin, so Bollant wants her to stay on the court by limiting Minnesota’s opportunities off of offensive rebounds. Illinois is the worst rebounding team in the Big Ten, so Zahui and Kelley could give the Illini fits on the boards. Being one of the better rebounding guards in the conference, senior Ivory Crawford will provide a needed lift as she gets her legs back under her in her second game back from a knee injury. 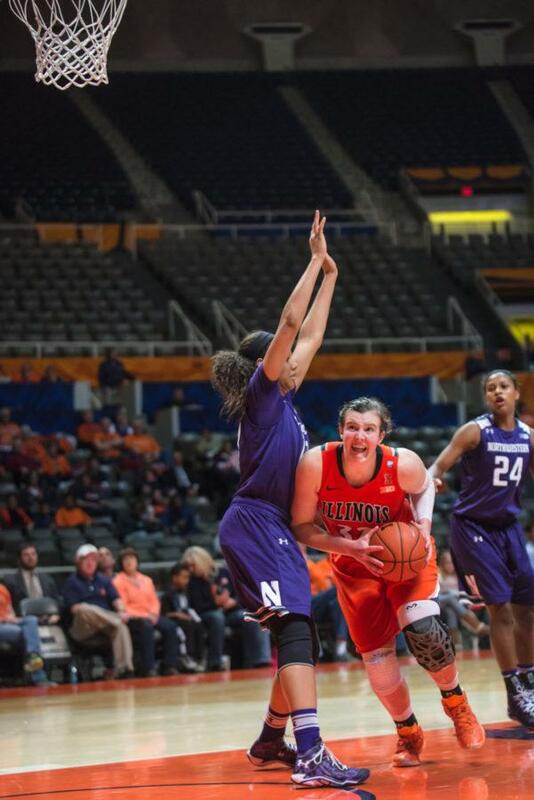 The Illini went through a tough stretch without their senior leader. With Crawford back, Bollant wants Illinois to focus on what’s ahead.